In what may be one of the most common yet always welcome surprises that car manufacturers here and there constantly push is that greatness can come from small packages. This can particularly be observed in the small car segment, wherein compact vehicles can definitely leave a mark in the motoring scene. And one such vehicle is the Suzuki Celerio, an extra large small car that makes waves when competing with other vehicles in its size category. Let us find out more why this small car is a big engineering wonder that almost everyone needs to have the opportunity to both drive and ride in. First launched simultaneously in India and Thailand, the Suzuki Celerio was developed to compete and excel over similar cars such as the Honda Brio or the Tata Indica Vista. Seeing the big market in the small car segment, Suzuki made sure to take part of the race by contributing a powerful and able vehicle into the mix. Yet more than just being another small car, the Suzuki Celerio made strides by being the first car of its kind in India equipped with the innovative EZ Drive. An automatic gear shift, this capable feature is definitely a step up from what other cars have to offer available in the market. 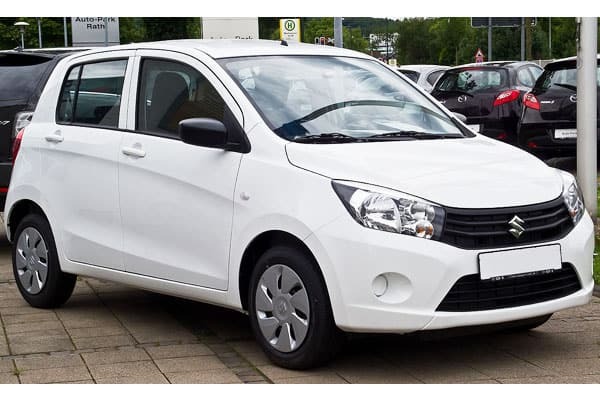 We’ll be sharing more below on why the Celerio is a large car to consider in the small car sector. Featuring a unique balance of cuteness (yes, that is possible in this car) and fast-forward modern design, the Celerio offers a unique and fresh entry in the small car department. And its subtle accents allow one to appreciate its unique beauty. Like a diamond in the rough of sea of compact cars, the Suzuki Celerio’s diamond-shaped headlights not only produce powerful beams of lights to illuminate whatever visibility issues the road has to offer – these lighting fixtures are also attractive to look at! What makes the Celerio differ from other in its car segment, however, is its subtle character line built-in into the vehicle. Resulting to a curved and defined body, the sculpted figure of the Celerio does not only make it attractive – the lines allow an aerodynamic asset, granting a powerful balance of form and function in the car. Focusing more on the aerodynamic features of the car, the Suzuki Celerio comes with a sharp front mask that both looks great and blends seamlessly with the mentioned diamond-shaped headlights. Inside, the Celerio allows one to appreciate the many fine aspects of how it is to drive an able and classy ride. The silver accents found all over the dashboard offer drivers a hint of exclusivity; the no-nonsense instrument cluster allows motorists to access what he or she needs without the hassle of confusion. For a small car, the Suzuki Celerio houses power that can match up to even the fastest and most powerful from other car models. A 1.0-litre KB10 K-series engine, which works well with either a CVT (Continuously Variable Transmission) system or 5-speed manual transmission system, grants one the power needed to zoom and control in even the tightest roads in the city. Additionally, the built-in K-series engine allows motorists to have the advantage of maximizing fuel economy. At 67 horsepower output and a 6,000 RPM (torque at 90 Nm at 3,500 RPM), the given output is at par with what the car’s frame was designed for – with the added benefit of being a safe and secured drive! Now, in what may be a surprise considering with the given figures above, the Suzuki Celerio can still speed up when the need arises. As such, the Celerio is best driven in the urban jungle, in where the traffic jams and tight maneuvers are just but a touch of daily drives. And in what may be a testament in the best of city driving, the Suzuki Celerio comes with 14-inch 165/R14 alloy wheels – the best of its kind when it comes to exploring and getting to Points A to B, C, D, etc. in the urban maze that one would normally traverse in. But more than how attractive or powerful the Suzuki Celerio is, the various safety features that the car has allows one to have the peace of mind needed whenever on the road. Front airbags, which come as a standard on all models, will trigger to lessen the risk of injury from unforeseen impact. Additionally, the brakes system of the car (which is composed of an overall anti-lock braking system and front ventilated disc brakes) will allow one an extra layer of security when control is demanded during accidents. For a small car, the Suzuki Celerio can be a vehicle that will matter when an individual demands power, control, and practicality. It’s a car that grants what is needed in daily drives in the urban jungle – and this just may be what most motorists need, when other cars in the market offer more than what is essential in everyday driving. 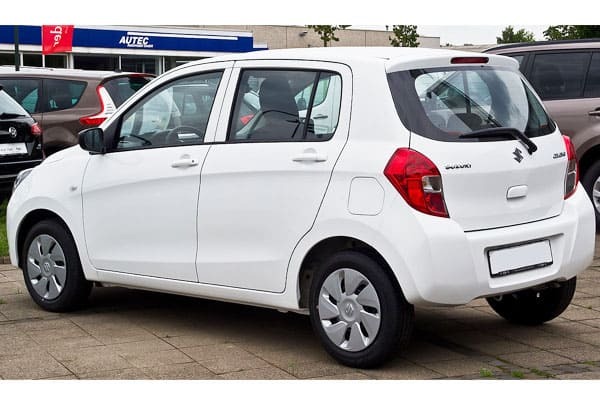 Additionally, with its unique and attractive design, one can be sure that the choice to drive and own a Celerio will make him or her stand out from the herd of compact vehicles in the city. Make sure to visit you local dealership to find out more on what the Celerio can offer for you!